Honey continues to be on her healing journey. She continues to struggle with some bladder issues and still wears a diaper, but is happy and healthy otherwise! 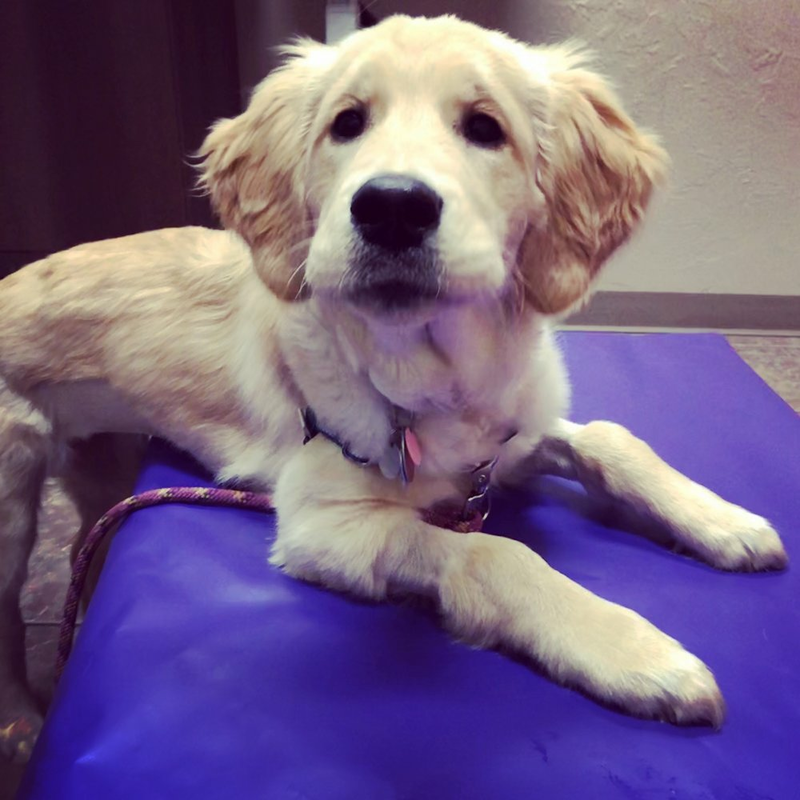 Acupuncture has been helping her and she loves to be the center of attention at those appointments! Honey had a great Christmas and got to meet many people including children at her foster family's festivities. She was gentle and calm! She got many compliments on her behavior!! She starts puppy class soon and we are sure she'll be a star pup!!! !